Home » Blog» What is Strategic IT Staffing Process? What is Strategic IT Staffing Process? Strategic IT Staffing, also known as workforce planning, is a systematic way to evaluate the staffing requirements and determine the actions required to accomplish the needs of the business. The process includes a strategy to ensure the sufficient number of employees with the appropriate skill sets for fulfilling all the required business objectives. The article explores some of the significant steps involved in the process of strategic staffing. 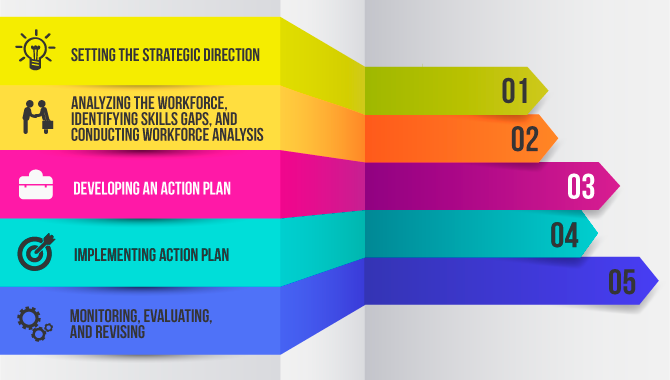 Begin by reviewing the performance requirements of the strategic plan of your business. Moreover, take into account the work activities which you need to implement the goals of your strategic and performance plan. Whereas strategic plan is a long-term, performance plan is short term. Staff augmentation process, a staffing strategy, is advisable for both short term and long term business requirements. Identify the skills and abilities required to attain the success of your business. Start the strategic staffing process with specific positions, including essential staffing issues. That being said; do not include the whole business units. Conduct an interview of leaders and senior executives and make sure they realize the value of your planning exercise. Know the external trends! Though it does not require to be exhaustive, it’s important to be able to handle trends like aging manpower and changes in the way people access information. Moreover, realize the internal trends, which include items like retirement risk in technical positions, the age distribution of the manpower, the proportion of positions taken by internal candidates, level of succession planning, statistics related to recruitment and retention, and so on. Generate a current manpower profile, including turnover, number, job levels, certifications, education, demographics, location, and many more. Identify the trends and validate the findings by having a discussion with business leaders and executives. Now is the time to create a projected manpower profile. Remember, you must create it in accordance with the trends as well as assumptions. Take into account the questions like what changes are anticipated, how will the changes affect the type, volume, and locations related to work, what will be the appearance of a planned organization, and so on. Find out the gaps or excessive existing between the projected and current manpower needs including, gaps or excessive in grades, skills, knowledge, experience, and headcount. Related: How to Develop Staffing Strategies That Work? Determine your needs in accordance with the competency requirements of the organization. Recognize the strategies for closing the gaps, plans used to carry out the strategies, and measures used or evaluating the strategic progress. Some of the significant things included in these strategies involve training, recruiting, succession planning, and many more. Set the milestones that you wish to achieve and monitor your progress against those milestones. Perform assessment for the purpose of continuous improvement. Moreover, incorporate adjustment in the plan in order to make corrections for addressing the issues related to the new workforce. Given below are some significant success factors that you must consider implementing the activities efficiently. Come up with a direct link between your strategic staffing plan (also known as workforce plan) and strategic mission of your company. Include a number of key stakeholders in the strategic staffing process of recruitment. You must take into account a variety of perspectives such as Strategic planning, IT, Finance, HR, and line management. Make sure integrate your workforce of strategic staffing plan with the HR programs like succession planning, organizational development, and career pathing among others. Find out the scope of the project. Allow one of the dedicated employees to manage the process well. You might require additional resources for large scale projects. 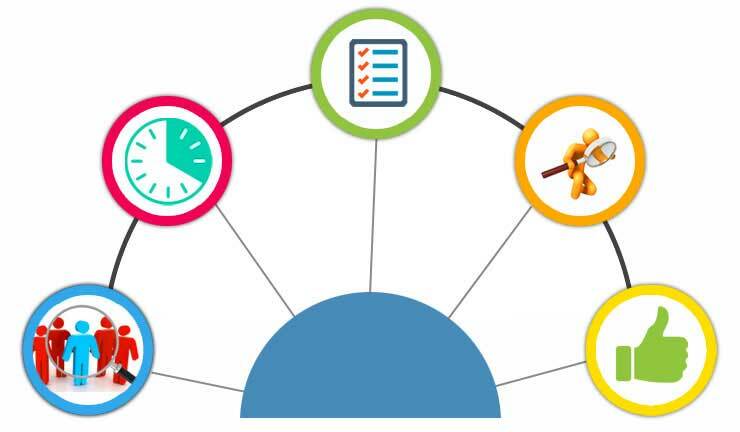 Consider workforce planning a continuous loop that must be worked upon regularly in terms of evaluation of the inputs as well as outputs of the process. Related: How Do Staffing Agencies Work For Employers? Mamsys, an IT staffing firm, takes into account all the critical steps as well as guidelines process in order to provide effective results to its clients. Moreover, the IT staffing company begins the process by understanding the goals and objectives of the client. ← How Do IT Staffing Agencies Work For Employers?